What is Teen Science Café? Teen Science Café is a monthly science program that is free, fun, and out-of-school. Teens get to socialize over food and have the opportunity to interact with local scientists and engineers in a relaxed setting. Teens are able to talk with the scientists about their career paths and their research. Scientists may even bring along a few of their students, allowing the teens to ask questions about college life. The program ends with a hands-on component, allowing teens to actually try their hand at real science. 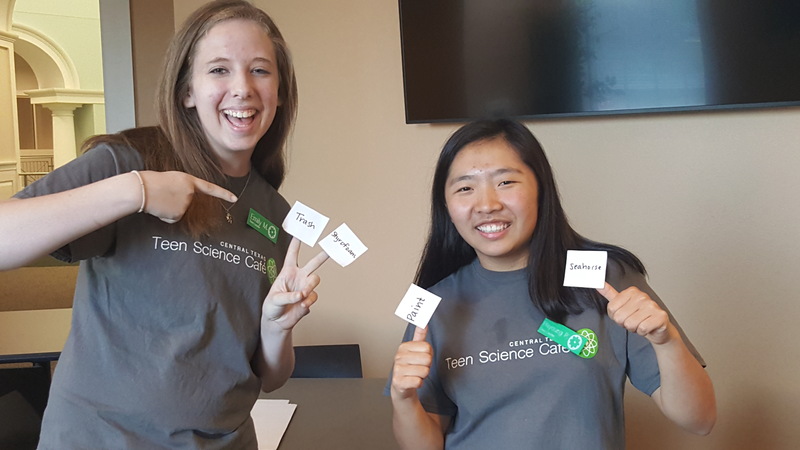 Where and when does the Central Texas Teen Science Café meet? 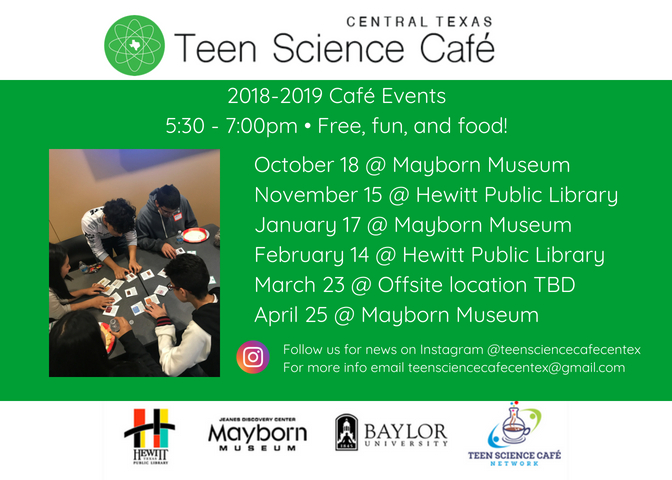 The Central Texas Teen Science Café meets monthly at the Mayborn Museum or at Hewitt Public Library. 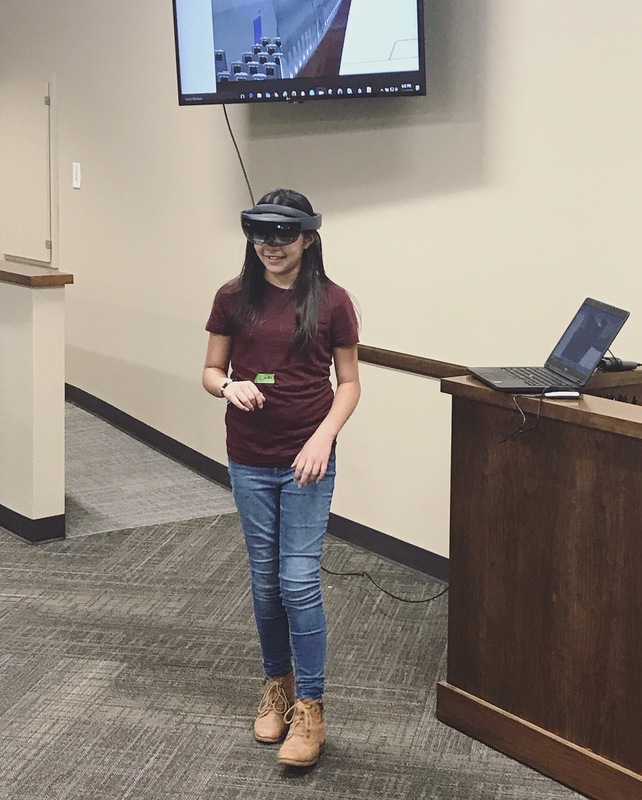 Exact dates and times for cafés will be posted on this website, as well as on Mayborn Museum and Central Texas Teen Science Café social media pages. Please note that the March Cafe required pre-registration which is now closed. Join us for the April Cafe at the Mayborn Museum! Follow Central Texas Teen Science Cafe on Instagram!